We all try to grab the attention of the audience on Facebook or Instagram. Great content isn’t enough, but understanding the algorithm and how the game is being played is! A Special post by Michael Vuong. Today we use Instagram to express ourselves through images. With over 800 million users we can say that this platform has the audience to build your brand. Having a voice on this platform can open up many doors for you (as an individual) or as a brand. ‘Pictures tell more than a thousand words’. That is why Instagram is such a strong platform, just a glance at a picture and you understand the context of the message delivered. This is why many influencers are also using this platform to reach out to their community. However, with the number of users, it has become increasingly hard to differentiate yourself. Even when you are successfully differentiating yourself from the rest, how do you actually show your work to those 800 million users? There are simple hacks you might have read about before on this Mashable article. Simple hacks like engagement groups and powerlikes. With the introduction of the algorithm on Instagram, the game has changed. What is Facebook’s EdgeRank and where is it used for? With the introduction of Facebook’s Edgerank algorithm in 2009, a lot has changed in terms of organic content (video or images that are being shown without being paid to promote). This algorithm is implemented into Facebook’s newsfeed. Since this introduction of EdgeRank a lot has changed to the algorithm. With the behavior changes from the users, we have noticed that video content is usually being favored over plain text or still images. This has caused a shift in the algorithm (as of the latest 2018 algorithm changes). The EdgeRank is looking at several aspects before it decides to show you to a group of people. It uses three factors to decide whether your content has real value for the audience. Tip: To truly gain traction with video, try using 1:1 format, this will take most of the space in a newsfeed when scrolling through it with a mobile device. Affinity: the interaction that you have with your audience. It basically looks at past interactions like whether they clicked on your links, liked or commented on your posts. It is important to note that the news feed algorithm has been updated with Last Actor. This element takes a look at your last 50 interactions that you had on Facebook. Weight: What priority will EdgeRank give to your post is based on the type of your post. There is a certain hierarchy since a certain type of content generates more traction. Photos and video have the top priority followed by links and in the bottom of everyone a plain text status update. Time decay: Simply said, how old is your post? The longer it’s been circulating within the platform the less likely it will show to its users (again). However, for users who drop in once or twice a week, it will still be shown. People who check in more than the aforementioned example will less likely see your post. 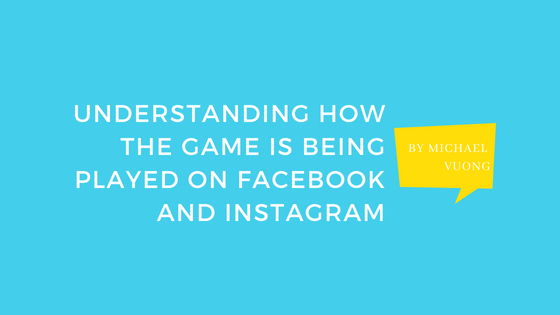 Now, why is it important to understand Facebook’s EdgeRank when you are using Instagram? Given the success of this algorithm and Instagram is owned by Facebook, it is expected a similar algorithm is being used on the platform. When using both platforms and with the information I’ve got, I noticed that there were several similarities. For example: When I liked a themed picture or a picture on the explore page (on Instagram), it would continue to show me either similar pictures or pictures from the same account. However, when you already followed the person and you engaged and liked the content from the page, it would put new content from that page on top of your newsfeed. Interest: How much you are interested in the post is determined on past behavior and potentially machine visual analyzing content and post. If the interest is high for a certain niche the higher it is going to be ranked in your feed. Recency: How recent was the image or video posted. It will prioritize those who are more recent on top versus the old ones. Relationship: Relationship has been more important than ever. This factor looks at past and current interactions with the person. Interaction includes commenting on their post and being tagged in their photos. Frequency: How often does the user open his or her app as it is focusing on showing you the best post since your last visit. Usage: This part looks at the behavior, how long does a user spend browsing so it determines which post should be the best to show. Before I continue I have to admit that I haven’t fully committed to creating daily content on Instagram or even have fresh new content to rebuild my account (have suggestions? would love to hear from you in the comments below!). This didn’t stop me from continuing to follow and interact with others on the platform. I studied the so-called Instagram hackers such as Len Gordon, Justin Wu and The Social Good Girl. Because this article is written in English I will continue to use Len Gordon, so you can study the content he created through multiple accounts as well as his personal (brand) Instagram. When I look at his feed he is trying to tell a story. The story of an entrepreneur and the struggle of getting the (personal) success most of us are going for. The feed is mixed with quotes, videos, and the journey. The feed has its consistency and it is targeted to a specific niche within the platform. But it doesn’t stop there, if you watch closely (and follow him) you can see through your activity feed he is actively communicating with his audience as well as the community within his niche. What can Len Gordon’s Gram hacks teach you? I have monitored Len Gordon closely and found out he was documenting his journey on Instagram and was soon to release his book, Gram Hacks. I had the privilege of receiving a copy of his book and started to read his book. You might wonder what the content of the book is. Let’s make this easy for you and give you this review on Gram Hacks. Gram hacks is a book that shows you insights on the platform of Instagram It goes in depth on the Instagram algorithm and explains how you can be more engaging with your audience. There are a lot of books out there that show you the dirty ‘secrets’ of Instagram. The direction that Len Gordon went with this book wasn’t to give you the secrets but more or less expose the real hustle on the platform and give you an understanding how others are shown so many times in your feed. The book doesn’t give you a simple A to Z step by step plan. What is being shown is the factors that could potentially help you gain more exposure. The examples and methods given are not potential theories but is focused on practicality. Although this book explains you every tool and process to gain a decent amount of growth of your account it still comes down to one important thing. The quality of your content is one of the most important things when starting out on the platform. Have your vision of what you want to create or deliver to your audience aligned with your story or content. What do I think of Gram Hacks? This book is for users who want to be successful on Instagram. It doesn’t matter whether you are a brand or individual. It isn’t complicated to read and terms are kept to a minimum, this improves the readability of the book. Tips given in this book are very practical and not based on a theory found on the internet. I would recommend buying this book before considering taking any Instagram workshops, courses or coach sessions. Interested in the book? Get your copy Gram Hacks today and master Instagram! Share your thoughts about getting more exposure on Instagram in the comment section below. Have you read the book Gram Hacks already? I would love to hear your thoughts!